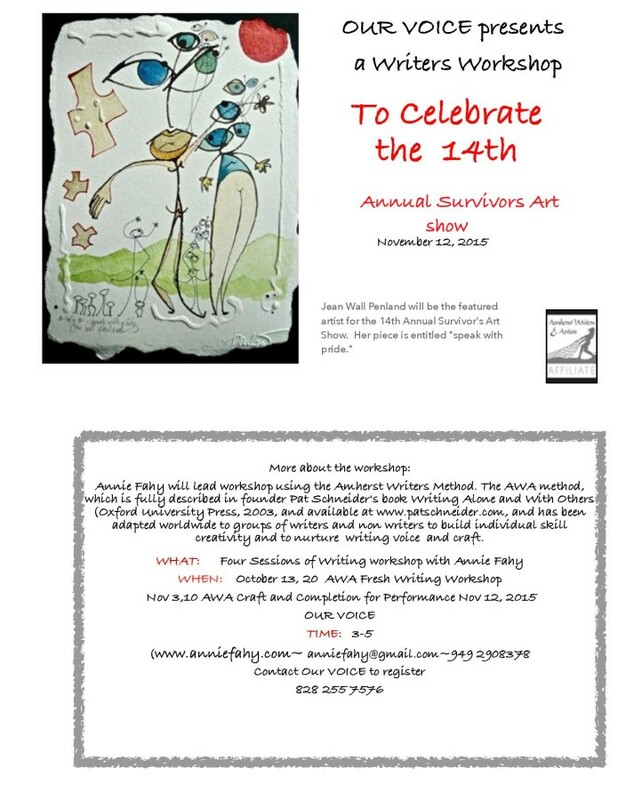 In anticipation for our upcoming Survivor’s Art Show, we will be hosting a Writing Workshop, consisting of 4 workshop meetings and culminating with performance of finished products at our Survivors Art Show on November 12th. The first meeting will be held on October 13th at the Our VOICE office. For more information please email anniefahy@gmail.com or to register please call us at 828-252-0562.